Not only can weight loss make you look and feel better, studies have shown women with a healthy BMI are more likely to conceive and carry to term. Body weight can have a direct effect on the success of conceiving and the motivation to have a baby can be life changing. 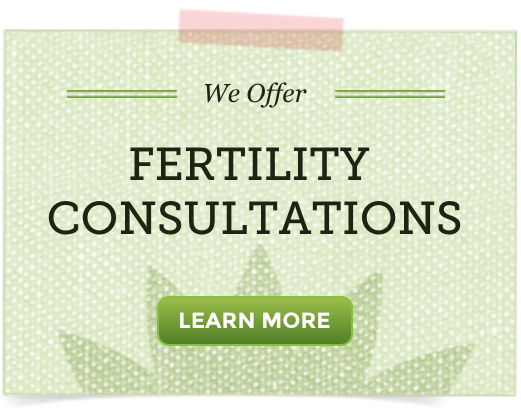 A healthy body weight is essential to accomplishing fertility and a healthy pregnancy. Your mom used to tell you that breakfast is the most important meal of the day … well it’s true. Eating breakfast tells your body, “Get up, get ready to burn some energy! Metabolism! Speed up and use the fuel I just gave you, we are beginning our day!” When you skip breakfast or any meal for that matter, your body does the opposite, it holds onto your energy source, fat. Start your day with proteins combined with a healthy fat. For example, yogurt with nuts, scrambled eggs, avocado in a green smoothie, or peanut butter on whole wheat bread. The human body is made up of about 70% water. Drink 1-4 liters of water daily. Avoid caffeine. Caffeine is a diuretic and causes dehydration. Fertility will only be aided by maintaining hydration; it will set you up for a wonderful pregnancy and assist during breastfeeding when you need to increase your water intake even more. Regular exercise helps our health physically, psychologically, and emotionally. Physically, it increases endorphins and speeds metabolism. It improves heart health by challenging the heart to pump more effectively and decreases heart disease, blood pressure, and blood sugar while increasing circulation to all parts of the body. Exercise increases two key hormones, called ghrelin and peptide YY, that play a part in curbing appetite. (3) Psychologically and emotionally, exercise improves brain function as well as increasing the natural neurotransmitters that control mood. Having a pleasant outlook always helps while working towards a goal of pregnancy. No one ever does anything well under too much stress. It’s kind of along the same lines as “Don’t think about it and it will happen.” Getting pregnant isn’t any different. Most women know that when you are relaxed and have little stress in life, your cravings are curbed and you have an increased motivation to eat healthily and exercise regularly. Yoga and Pilates are great ways to decrease stress, help promote a positive self-image, increase intimacy between partners, and promote healthy weight loss. Anything that helps you decrease stress is the right thing for you, you just have to find it and stick to it. For more information about boosting your fertility, and how it’s connected to weight-loss, we recommend learning more about the fertility diet.